Fiji, Vanuatu, Tahiti, Palau, Tonga, and Samoa. Just hearing the names of those islands conjures up travel brochure images of a warm tropical sun setting in the distance over blue turquoise waters, white sandy beaches, palm trees leaning towards the ocean, and luxurious air conditioned hotels calling to your inner most desires. As real and appealing as those images may be, there is another calling in the South Pacific that few hear or know about. It's an urgent call for medical help from a forgotten people. The South Pacific consists of over 20,000 islands spread across 11 million square miles of ocean; with over 85% of the population living on less than 5% of those islands, the remaining population inhabits the thousands of smaller remote islands located hundreds of miles away. There are no roads, power lines, or phone systems to connect the smaller, less populated remote islands to the same services offered on the larger more populated primary islands. Sadly, these remote islands are left without even the most basic of dental care services. Dental caries (tooth decay) was uncommon in the South Pacific before European trading and migration expanded into the Region, changing their diet, food preparation and lifestyle. Where the primary islands have the dental infrastructure to consistently evaluate and treat tooth decay, the remote islanders have nothing. This poses a major public health problem in terms of pain, premature loss of teeth and even the risk of death due to infections. Sea Mercy’s Dental Program provides the needed implementation and monitoring of a tooth decay control program. Although diet and lifestyles strategies are a part of Sea Mercy’s programs and important for long-term health needs, the implementation of proven modern preventative programs like the use of fluorides and ‘fissure sealants’ will help us to quickly transition from and endless focus on extractions, to restoration treatments and repair programs. Below is a short video from Dave Carroll who traveled with Sea Mercy to film a documentary about diabetes and our program in the South Pacific. In 2012, Sea Mercy (www.seamercy.org), a U.S. based non-profit organization, began the dream of operating a fleet of Floating Health Care Clinics (FHCC) vessels (large sailing catamarans) that brought free medical, dental and eye care services to the thousands of neglected remote islands scattered across the South Pacific. Working directly with Health Ministry of our island nation partners, our FHCC vessels were the answered prayer for an effective and consistent service delivery platform that could deliver the much-needed care to their vulnerable and at-risk outer islands, and provide a source for international health care professionals (volunteers) willing to assist them in serving their remote island citizens. With 11 island nations waiting and thousands of remote islands in need, we knew our task of bringing dental care to them would not be easy or accomplished quickly. We began operations in 2013 with 1 FHCC vessel and 30 international health care volunteers. We visited and treated over 1,000 remote island citizens of the Kingdom of Tonga. 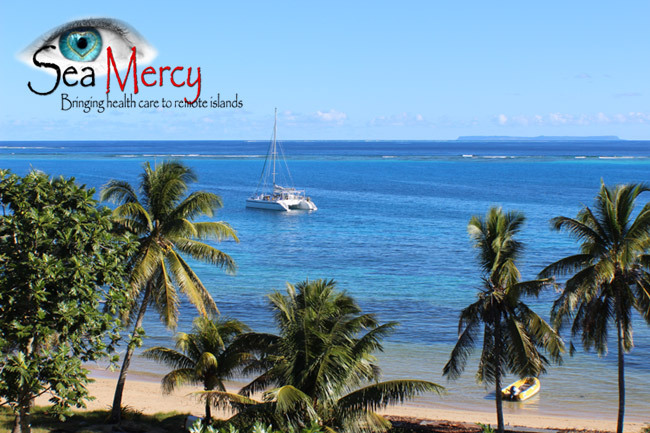 In 2014, Sea Mercy added 2 additional FHCC vessels and over 75 international health care volunteers joined us in bringing health care to the remote islands of Fiji and Tonga. This year we are on target to evaluate and treat nearly 5,000 remote island citizens of these two nations. Our 2014 program revealed how desperate the dental needs are on the remote islands of the South Pacific. In response, Sea Mercy has created a Preventive Dentistry Program for these High-Risk Underserved Populations. Although we have had incredible initial success, we have barely scratched the surface with regards to the percentage of remote islanders still in need of dental care evaluation and treatment. 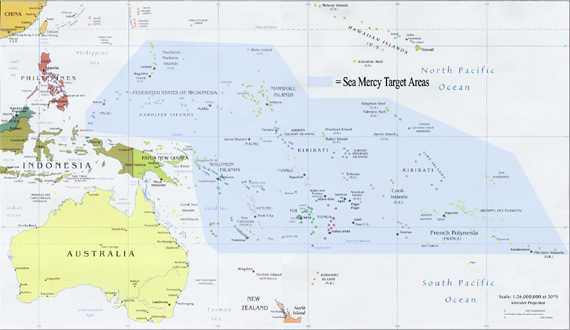 Dr.'s Scott & Sarah Levison (DMD's) have taken on the design, implementation and leadership role for the Sea Mercy Dental Care Program in the South Pacific. Scott and Sarah have been on the front lines of dental missions work since 2004. As practicing dentists, they have always made time to serve those less fortunate (both locally and internationally). Most recently, Sarah returned from a 2-week rotation in Fiji with Sea Mercy. With their deep knowledge and experience in the field of dentistry and with medical missions, they have developed a program that will help meet the unique and comprehensive dental needs of the remote islanders that Sea Mercy visits in 2015 and beyond. With the planned addition of two island nations and FHCC vessels in 2015, we will need to expand and secure the necessary dental care volunteers, surgical equipment, supplies and operational resources needed for the ongoing success of this program. Our goal is to raise the $65,000 needed to provide the ongoing Dental Care Program equipment, supplies and services to the remote islands of the South Pacific. A little from a lot can make a huge difference. Please make a financial donation today to help us bring a smile back to these forgotten people. 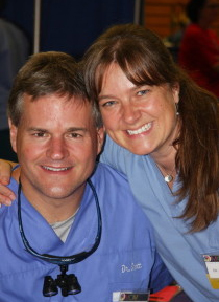 Scott & Sarah have been on the front lines of dental missions work since 2004. As practicing dentists, they have always made time to serve those less fortunate (both locally and internationally). They have traveled extensively to deliver dental care to those in need in Honduras, Indonesia, Cambodia, and Mexico. Most recently, Sarah returned from a 2-week rotation in Fiji with Sea Mercy. Little did Sarah and Scott know, but that one rotation would have a major impact on both the Levison’s and on Sea Mercy. Dr.’s Scott & Sarah Levison (DMD) are the Dental Care Program Directors for Sea Mercy. Using their medical missions expertise and first hand experience working from Sea Mercy’s FHCC vessels, Scott and Sarah will take the lead on the current development and enhancement of the Dental Program Sea Mercy provides for the South Pacific. Questions For Scott & Sarah? When equipment and supplies are not secured through in-kind donations, we must purchase the necessary items. In addition to the equipment and supplies, we need to operational staff to handle the application process, the approval and scheduling process with our island nation partners, and orchestrate the travel and FHCC vessel arrangements for the rotations.